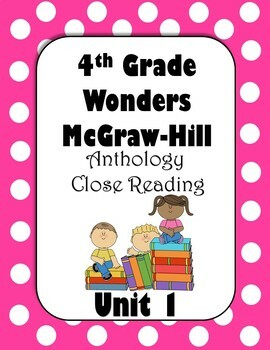 This product can give you and your students a way to work through the Wonders anthology book. 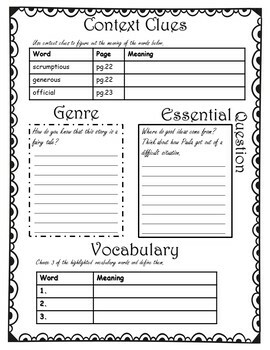 Each week has the concept that students a to be using on the front and the back has vocabulary focus, relating to the text piece, and a connect to the essential question. 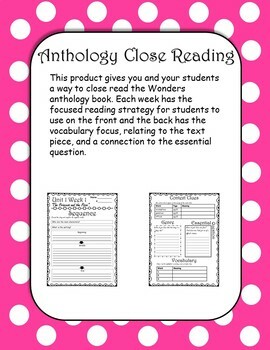 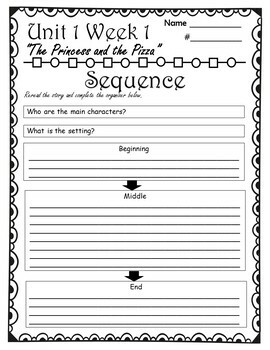 It uses all the different reading strategies to help students improve their reading skills.